The Port Adelaide Football Club launch brand new Oval Room Function Centre after $200,000 refurbishments to their Alberton home base. The updated facilities overlook the Alberton Oval where many dedicated fans have been laid to rest. The function centre will be a unique destination in the community and hopes to attract Port Adelaide Football Club fans and people beyond Port Adelaide to Alberton. 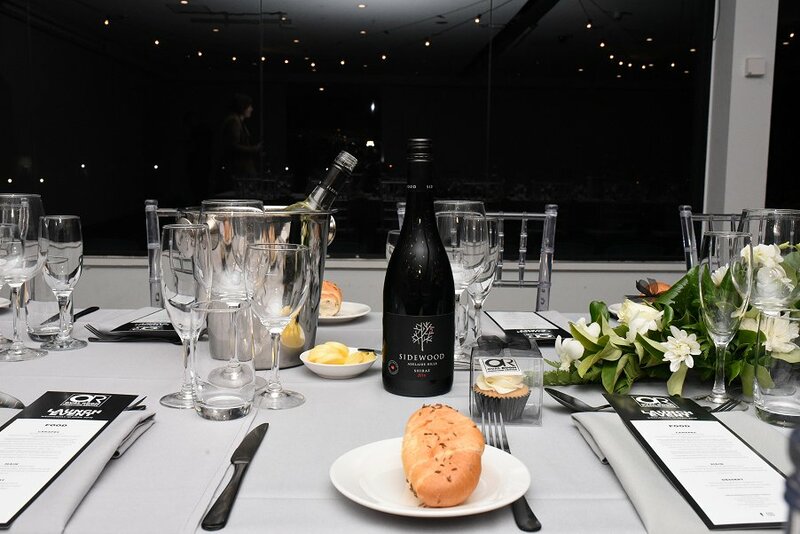 The Oval Room Function Centre includes 5 unique function spaces and can be customised to cater for a number of events including birthday celebrations, weddings or corporate conferences. The venue offers free WiFi, live music facilities, security services, AV and event styling, as well as features unique to the oval like lighting and scoreboard messaging. The new Oval Room Function Centre creates more jobs for locals including full-time functions chef Attila Balla. 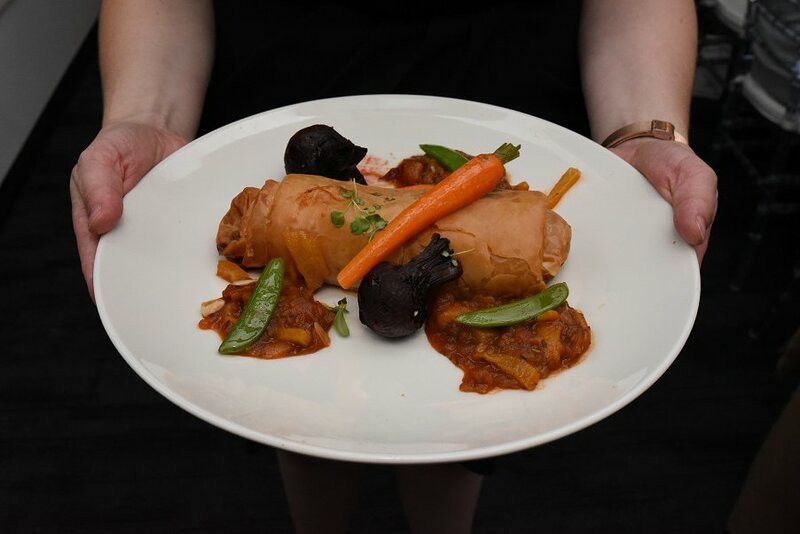 Chef Balla, with over 30 years of experience in the industry, can tailor the menu for any event. If you can think of a reason to celebrate, the Oval Room Function Centre team will make it happen. At the Oval Room Function Centre launch, chef Balla treated us to a range of wonderful canapes, mains and dessert utilising local produce and suppliers. While rubbing shoulders with football and media elite, we had the opportunity to sip on gin and taste test beautiful appertisers. 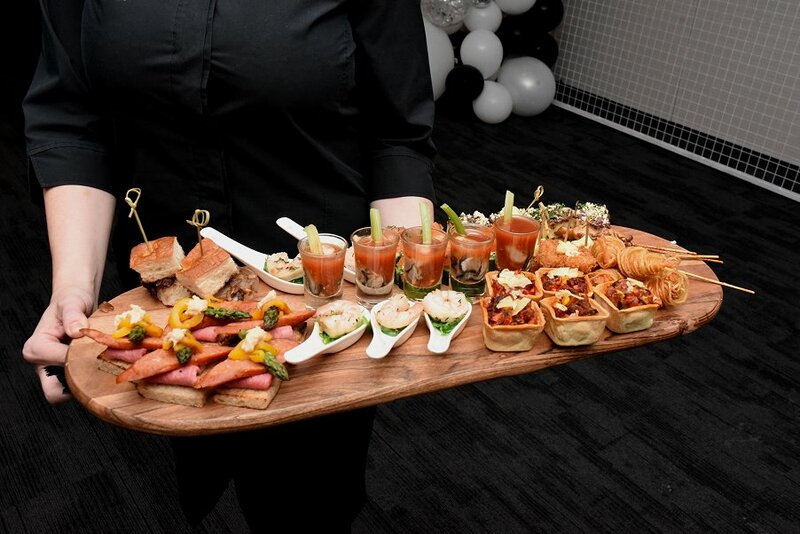 They included oyster shots, poached prawns, chicken satays, steak finger sandwiches, karaage chicken, smoked salmon roses and rare roast beef and Spanish chorizo on toasted rye. Appertisers also catered for vegetarians with a goat’s cheese and olive tapenade frittata served cold, which is arguably better, and crunchy vegetable ratatouille tarts with parmesan. At any function the food does not merely complement the event, it is what will be remembered afterwards. At the sit-down dinner we were served a main course of Angus Beef Fillet medallions. 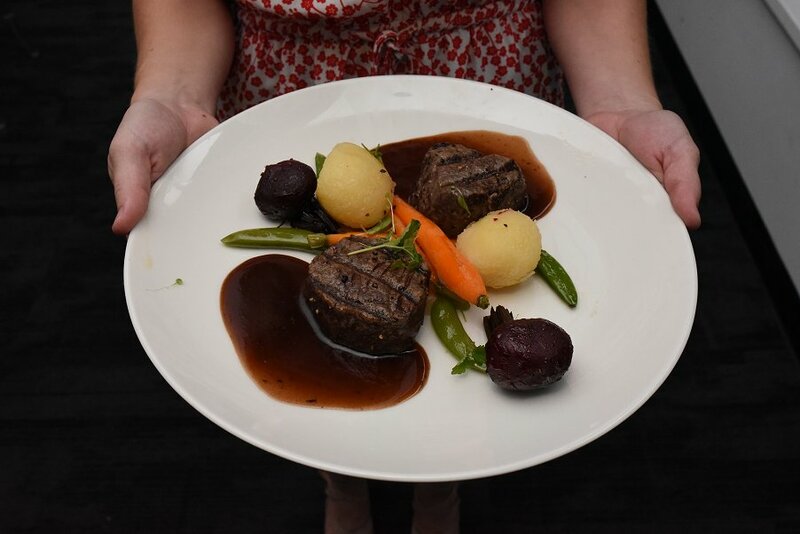 The medallions are incredibly flavourful, tender and juicy with a red-wine roasted garlic and thyme jus. Building on the meal are confit potatoes, sugar snap peas and roasted baby beets and carrots. If like me you leave meat off the plate, the chef is happy to customize for dietary requirements. I dined on a hot Mexican Bean Wrap puff pastry served with salsa. The protein-packed beans were cooked with garlic, tomato, onion, corn and mild spices. The colourful, fun and fresh flavours were a delight to the tastebuds. The final treat was a Raspberry Tart decorated with frangipanis and white chocolate sauce. A creamy honey ice cream accompanied the tart, topped with hazelnut praline. The tart had a crisp exterior and smooth, light fruity filling. 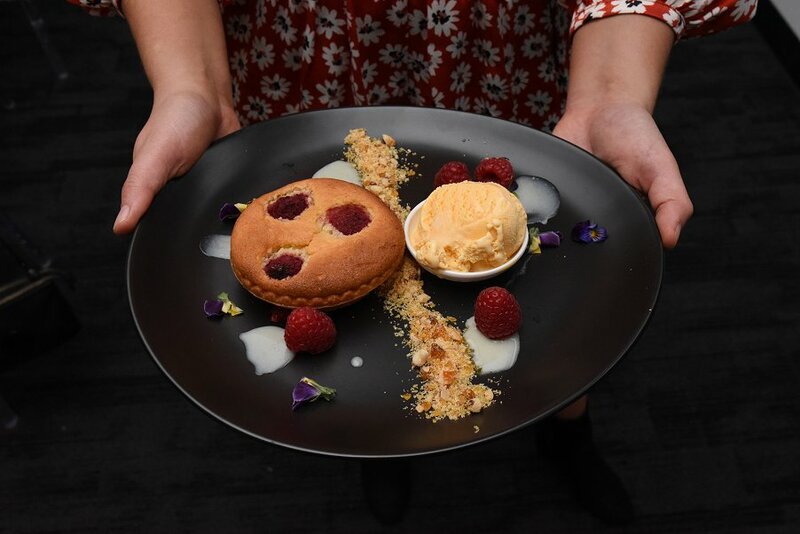 If you don’t have an upcoming event to host, you can still try out the wonderful menu at one of PAFC’s own events such as their Comwire business lunches, craft beer dinners, charity events and fundraisers, band nights, Christmas shows and quiz nights. Thank you Girl About Town and the wonderful team at the Oval Room Function Centre for hosting an entertaining and delicious event.